This bizarre looking creature has the largest head and smallest tail of all the knob tails. When threatened, the Knob-tailed Gecko will arch its back, bringing its tail over the head, making it look larger than life. It will then perform slow push ups on all four legs. If its aggressor still doesn't get the hint, the gecko may dart in for a quick bite. As with other Geckoes, the Knob Tail is an egg layer, laying two eggs at a time. More than one clutch can be produced during the breeding season. This gecko is a nocturnal hunter, preying on anything small enough to fit in its mouth, such as cockroaches, scorpions, crickets, and even other geckoes. 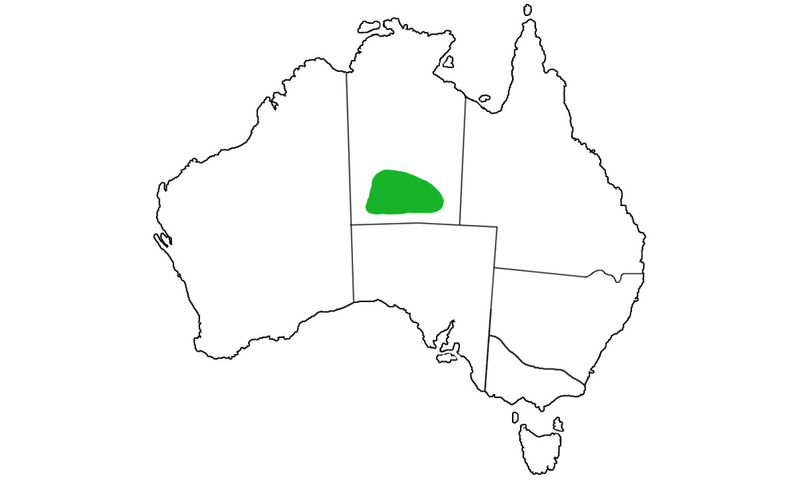 The Knob-tailed Gecko is found in the Arid parts of far Western Queensland, Southern Northern Territory, and Northern South Australia. To survive the temperature extremes experienced in these areas these geckoes excavate burrows in which to live. As with other Knob tails, this gecko is mainly ground dwelling, though it will climb among rocky outcrops and slabs. To survive the temperature extremes experienced where it live, knob-tailed gecko excavate burrows in which to live.